GINETEX,the International Association of Textile Care Labelling, was founded in Paris in 1963 and is represented in Spain by the Spanish Intertextile Council. GINETEX devised an international labelling system bases on symbols. The pictograms employed, which GINETEX owns, are trademarks registered in most European countries. This care labelling system provides textile companies and consumers with the information necessary for the correct use of the textile products. The purpose of the indications on the labels is to avoid irreversible damage to the goods. GINETEX defines and promotes the care labelling symbol system while coordinating the technical knowledge of it on an international level. The essential technical information for the application of the system is described in its technical regulations. Such a labelling system is essential when taking into account technological environment-friendly developments, as well as the changes inconsumer practices. GINETEX relies a great number of national organizations as members of the entity. These organizations, one per country, represent the textile industry and retail. 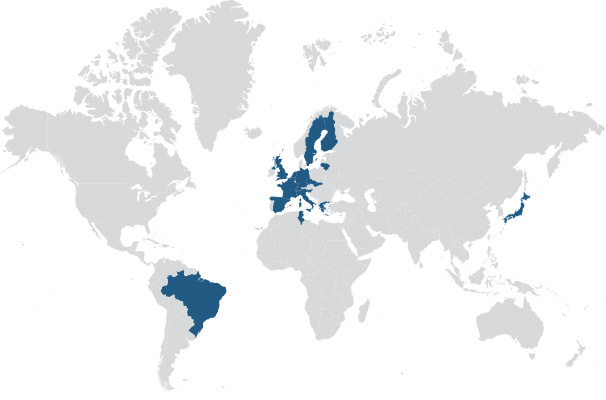 The member countries are 22: Germany, Austria, Belgium, Brazil, Denmark, Slovakia, Slovenia, Spain, Finland, Greece, Holland, Italy, Japan, Lithuania, Norway, Portugal, the UK, the Czech Republic, Switzerland and Tunisia. To define an international system based on symbols for the care of textile products. To define the norms for the use of the system. To promote the use of the care and conservation symbols. To aquire all trademarks and all rights on the symbols. To register and regulate symbols on a national and international level. To ensure the protection of all trademarks and symbols employed in all the countries forming the association. To use all available means and seek necessary agreements to reach the afore-mentioned goals. Generally speaking, to take all the measures necessary reach these goals, directly or indirectly.